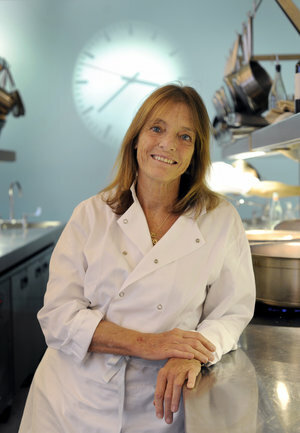 One of the most acclaimed chefs on the planet, Ruth Rogers has spent 30 years at the helm of The River Cafe London, the restaurant she and Rose Gray opened in 1987. She’s been awarded an MBE and works hard to run a humane, successful restaurant that changed the game in London’s cutthroat kitchen scene. Ruth embodies what Radio Cherry Bombe is all about. She’s a badass woman whose passion for good food, a better world, and changing the upscale restaurant scene paid off in dividends.